Stop acting like everything is fine if it isn’t. – It’s okay to fall apart for a little while. You don’t always have to pretend to be strong, and there is no need to constantly prove that everything is going well. 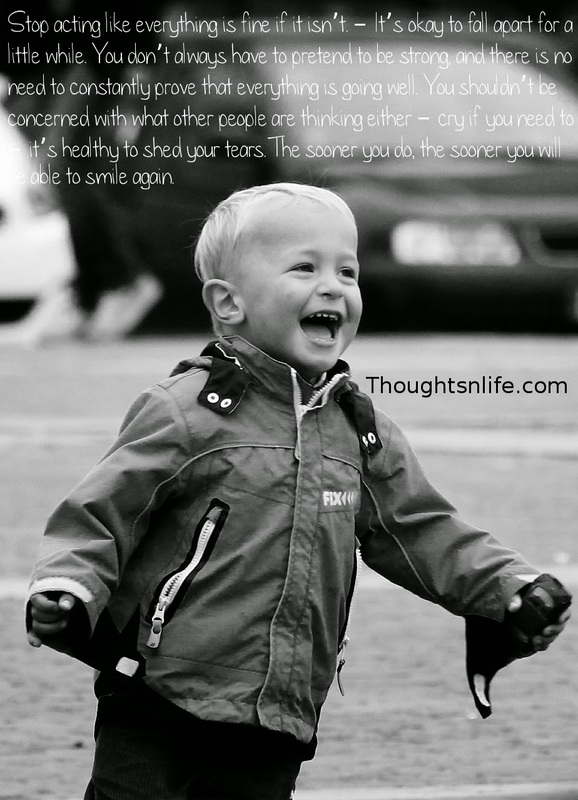 You shouldn’t be concerned with what other people are thinking either – cry if you need to – it’s healthy to shed your tears. The sooner you do, the sooner you will be able to smile again.